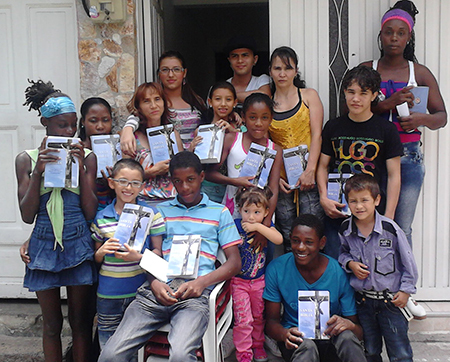 Since 2008, LHF has been at work translating and publishing materials in the Spanish language, which are distributed throughout North, Central and South America. LHF’s most popular Spanish publication is the Spanish Bible with Small Catechism, which combines the RVC edition of the Spanish Bible with Luther’s Small Catechism all in one volume. LHF translated and published a child’s Bible storybook, A Child’s Garden of Bible Stories, in 2018 and is also assisting with the printing of a Spanish Hymnal that will be used throughout Central and South America. LHF is grateful for the technical and distribution support provided by Lutheran Hour Ministries through their ministry center locations across Central and South America. Click here to see the distribution data from previous years. Looking for a children’s mission project for your Sunday school, VBS or day school students’ mission offerings? Check out Juan 3:16, where every $5 your students send to LHF provides a free Bible storybook for a Spanish-speaking child in places like Nicaragua, Guatemala, or Peru! 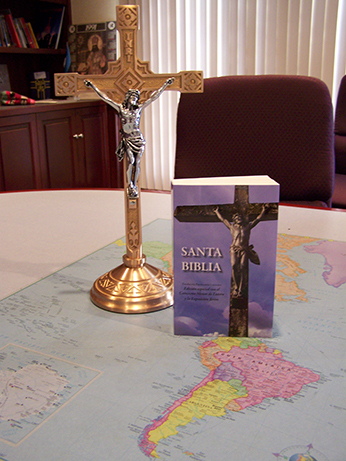 Click below to read stories about the books at work in Spanish-speaking communities. Dominican Republic: Lutherans Make it Simple and Clear!